I finished reading the book Balasaraswati: Her Art and Life yesterday. I realized I have been reading quite a lot of non-fiction these past couple of months. 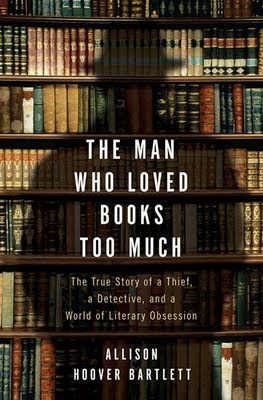 I love fiction, but there are a bunch of non-fiction books that I just couldn't help loving just as much. 1. Danse Macabre by Stephen King - (that's French for Dance of Death) a look at horror books, movies, comic books, tv series and more by one of the best horror writers ever! 2. Tipping Point by Malcolm Gladwell - "how little things can make a big difference"; one of the first non-fiction books I read and liked. 3. The Wonder that was India by A. L. Basham - an amazing book on ancient Indian history that studies the culture of India before the arrival of Muslims. 4. Stiff: The Curious Lives of Human Cadavers by Mary Roach - a wonderful popular science book about the use of cadavers in science and the ethical issues surrounding it. 5. A Tramp Abroad by Mark Twain - a collection of hilarious essays about a journey through central and southern Europe! 6. Lectures on the Science of Language by Friedrich Max Mueller - Well, this is pretty much the first book I have read on linguistics and I love it. 7. The Tough Guide to Fantasyland by Diana Wynne Jones - a must-read for all fantasy fiction fans; written in the form of a tourist guide, the book pokes fun at all the cliches of fantasy fiction. 8. On Writing: A Memoir of the Craft by Stephen King - this is another favourite by Stephen King; a book that deals with the art of writing fiction and King's own journey to becoming a famous writer, written more in the form of random anecdotes and experiences than a story. 9. The Art of Fiction: A Guide for Writers and Readers by Ayn Rand - an extensive analysis of the four basic components of good fiction: theme, plot, characterization and style..
10. The Unadulterated Cat by Terry Pratchett - how a real cat is hardly anything like the ones that you see in cat food advertisements. This is a must read for all pet owners!! What are your favourite non-fiction reads? 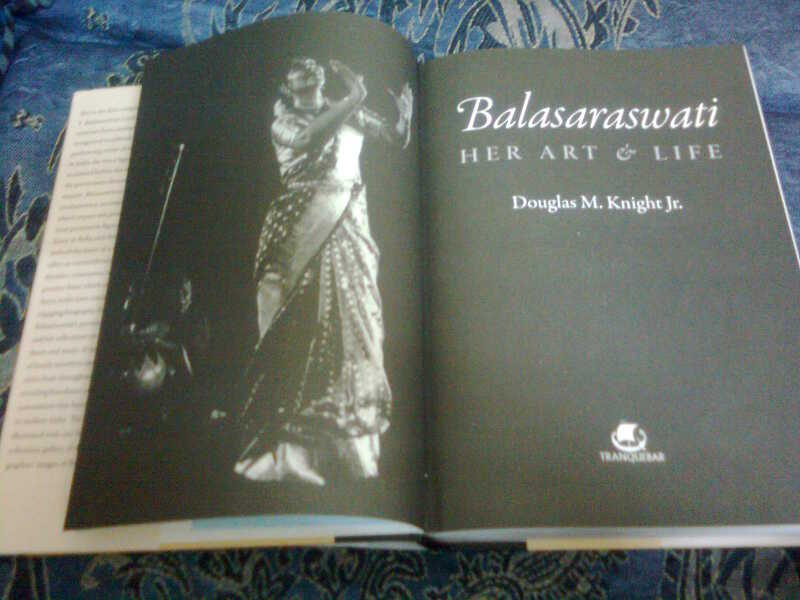 Balasaraswati: Her Art & Life by Douglas M. Knight Jr.
About the book: According to Wikipedia, Balasaraswati was “a celebrated Indian dancer, and her rendering of Bharatanatyam, a classical dance style, made this style of dancing of south India well known in different parts of India, as also many parts of the world.” She has received numerous national awards for dance as well as music. This book, written by her son-in-law, is her first biography to ever be published. The book contains many rare pictures of the dancer, along with a huge glossary and notes by the author. Summary: Born in a matrilineal family with a long and rich tradition of dance and music, we might as well say, that Balasaraswati had art in her blood. That won't be entirely true though, as is the case with any real artist. Along with that inborn talent, it was years of practice that helped Balasaraswati reach her level of perfection. Ever since she was a little child, Bala learned dance and music from the elders in the family. Her childhood was quite different from yours and mine; she was rarely even allowed time to sit still. Various incidents, right from her childhood, display her love for the art, as well as her dedication. "As a child just old enough to walk to the door of Dhanammal's home, Bala was fascinated by a beggar who stopped regularly in front of the house on Ramakrishna Street, dancing wildly, chanting rhythmic syllables like those recited by a nattuvanar mirroring a dancer's footwork. (...) Bala would imitate him, both dancing like monkeys. (...) That was the real starting point for Bala's dancing mania." After her Arangetram (debut performance after years of training) at the mere age of seven, Balasaraswati began to receive growing recognition, in the art world as well as the general public all over India. The tours and performances that followed were her first steps towards becoming a revolutionary Bharatanatyam dancer, a legend. My Thoughts: Honestly, I have no idea why I decided to review this book. I don't have much experience with art - apart from a span of five traumatic years spent learning, quite ironically, Bharatanatyam itself. It taught me, if anything, that I can never be a good dancer. I did however learn quite a bit about the dance form. Besides, considering how I failed at it, I realize, respect and appreciate the effort and passion involved in excelling at it. The book is long and the size can be intimidating. If I didn't have to review it within seven days, I would have spent months reading it at leisure. That being said, it was hard to pull my eyes away from the book. The descriptions, the imagery is so surreal. It almost made me guilty that I wasn't as informed about the culture and traditions of my own country. The only thing that bothered me was the chronology of events; I had a hard time keeping up with what happened when. All non-English phrases or concepts are explained in the book wherever they appear - and more information is given in the extensive (and thoroughly fascinating) Glossary at the end. I guess that's what makes the book so much more special; you don't have to be a student of Dance to understand it. The language, of course, is wonderful. 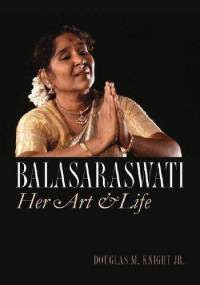 The book tells us not only about Balasaraswati's life but about the political and social conditions in the India of the 1800s and early 1900s, the evolution of Bharatanatyam and other forms of art, and many other renowned artists of her time. The fine detail makes you feel like you're living history. It is hardly possible for a biography to get all the facts right, not to mention be completely impartial, especially when it is written by someone closely related to the person. I am hardly qualified to judge whether all the facts are correct. What I do believe, however, is that while this may not by a completely true account, it is a very honest account of the artist's life. It is difficult to do justice to a legend or fit such a glorious life in only three hundred pages. It is apparent that a lot of effort and research was required to write this book, and frankly, the result is commendable. I consider myself incredibly lucky, to get to review such a book. I am also glad, that this book wasn't published years ago, so that now it'd only be lying in some old library, where I would have hardly gotten my hands on it. It's a must read for anyone interested in the arts, or anyone interested in getting to know one of the reasons India is known to have a 'rich tradition'! The book has inspired me to read more about India. According to my mother, reading about great people such as these, makes us feel pretty insignificant and thoroughly inspired at the same time; and it's true. If anything, I am going to make it a point to learn more about the history of Indian dance and music; if you happen to know me, you'd know that that is saying something. That's a famous line from Shakespeare's Macbeth, first used by Ray Bradbury as the title for his famous horror-fantasy novel. 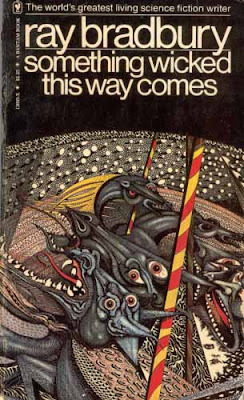 Now I haven't read Macbeth, but after reading Ray Bradbury's Something Wicked This Way Comes last month, I thought it would be rather amusing to follow it up with Agatha Christie's By the Pricking of my Thumbs - making it a couple of really great reads! I loved the scenery in this book. The descriptions are vivid, and more thrilling than I have read in any Christie book; not to mention very eerie. 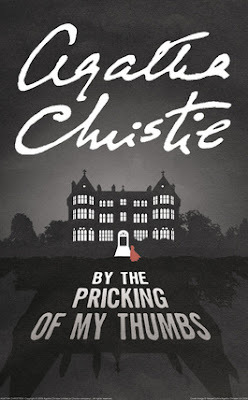 The plot, however, is not up to the mark, if you compare it to Christie's usual detective fiction. I did like the typically British humour and the characters, though older now, are just as lovable. It's a must read, especially if you're curious to find out what happened to ol' Tommy and Tuppence! "Death doesn't exist. It never did, it never will. But we've drawn so many pictures of it, so many years, trying to pin it down, comprehend it; we've got to thinking of it as an entity, strangely alive and greedy. All it is, however, is a stopped watch, a loss, an end, a darkness. Nothing." A mysterious carnival arrives in town, in the middle of one night; bringing Halloween a week early, with its freaky creatures and intriguing mazes and carousels. Two little boys, Will Halloway and Jim Nightshade feel drawn, like the rest of the townspeople, to this carnival; as if it were a way to fulfilling all their dreams. By the end, the horror story turns more into a coming-of-age story. It's beautifully written, and almost poetic (in this case, I liked it.) The writing almost has a Lovecraftian air to it. The author talks about good and evil, and people and choices that they make. It is unlike any horror novel I have read; not scarier but definitely makes a lot more sense than most. It is one of the books Stephen King has discussed in Danse Macabre, calling it one of "one those books about childhood that adults should take down once in awhile... not just to give to their own children, but in order to touch base again themselves with childhood's brighter perspectives and darker dreams." I have been putting off publishing this review for so long. It's just been lying in my drafts and I have read it time and again, wondering why it just doesn't seem right. You know, it's difficult to write a review that does justice to such a long book - long, not only because of the number of pages, but because of the content. Let's just say, your everyday non-Stephen King author could have easily made three books out of it - for instance, a love story, a science fiction book and a historical fiction novel. Now I have decided to scrap the "About the book + Summary + My Thoughts" review format and write this instead. I have just read horror fiction by Stephen King, along with a couple of non-fiction books. 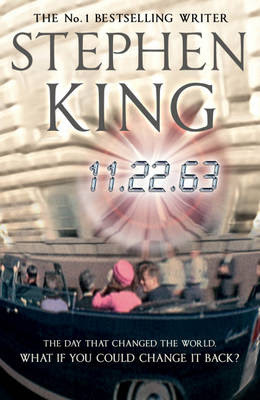 I haven't read the Dark Tower series, so I had no idea what to expect from a combination of science fiction and King. I read about King's upcoming book on New York Times and I just had to get my hands on it; which I did manage to, thanks to someone who (apparently) noticed my silent plea in the form of a Facebook link of the review. Anyway, right from the cover, the book is fascinating. The first thing that caught my attention were the lines: The day that changed the world. What if you could change it back? And that is basic plot of the book. The "What If?" When Jake Epping is led to a time portal by one of his friends, when he is asked to go back in time, to Dallas, to the day that changed the world, and save John Kennedy - what does Jake Epping do? Does Jake Epping decide to take the fate of the world in his hands and stop JFK's assassination? Can he go through with his plan? Saying anything else would qualify as a writing a spoiler, and I try to avoid that. In the rest of the book, you watch (well, read) history unfold. I have always loved Stephen King's characters, but this is one book where I appreciated the scenery just as much. You feel as if you are experiencing history along with the lead character (Epping, who now prefers to be called George Amberson.) The romance, though quite natural for such a book about time travel, did get a little too soppy for my taste for a while. The explanation for the concept of time travel and the rabbit-hole, which is not revealed till the very end, is very intriguing - actually, it is also a bit confusing, I had to re-read it a couple of times. Along with everything else in the book (the Sci-Fi, romance and history) there is that suspense that builds up until the very end. The What If? That's what kept my nose buried in the book throughout - even through those few parts that seemed sort of unnecessary. King surprised me till the very end, when I decided I already knew what was going to happen, when I decided it was now sort of obvious... the surprises kept coming. The ending is lovely, if you do ever decide to read the book (and I think you should!) don't give up halfway through. Even though the length is intimidating, the end is worth it. About the book: The Crucible is a 1952 play by Arthur Miller. It is a tragedy, which draws a parallel between the Salem Witch trials (1692-93) and the McCarthy era (1950s). There are two film versions of the play, a 1957 movie with a screenplay adapted by Jean-Paul Sartre and a later Academy Award nominated 1996 version. 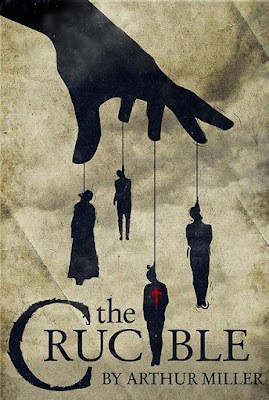 Summary: Set in the small town of Salem, Massachusetts, The Crucible is a fictionalization of the Salem Witch Hunt. When a group of teenage girls accuse the townspeople of witchcraft and association with the Devil, claiming to be their victims; the entire town falls apart in a mass hysteria. The superstition and paranoia combined with building guilt and vengefulness led to wrongful punishment of a number of people. "The witch hunt was a long overdue opportunity for everyone so inclined to express publicly his guilt and sins, under the cover of accusations against the victims. (...) Long-held hatreds of neighbours could now be openly expressed, and vengeance taken, despite the Bible's charitable injunctions. (...) One could cry witch against one's neighbour and feel perfectly justified in the bargain. Old scores could be settled on a plane of heavenly combat between Lucifer and the Lord; suspicions and envy of the miserable toward the happy could and did burst out in the general revenge." My Thoughts: The Crucible is a powerful book. The dialogue is gripping and moves along at a nice pace. The characters don't start out strong, but they do develop along the way. Not used to reading plays, I appreciated the little snippets of information about the 'original characters' and explanation of the setting, which the author provides between the scenes. But I enjoyed the book even more, when the author stopped interrupting the flow of the play with 'background info' and the dialogue stood strong on its own. The book gives you a glimpse at a society of an entirely different time. Yet from the underlying themes of wrongdoing under the guise of religion, blame, vengeful lies and irrational fear, you can draw parallels to your own society in so many respects. It's a chilling story; a tragedy much more moving than I could have imagined. 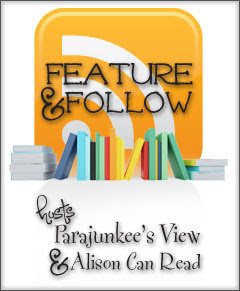 The review is a part of the Back to Classics Challenge hosted at Sarah Reads Too Much.